BC Studies is accepting digital postcards on an ongoing basis – we welcome your contributions! Digital postcards are presented in an online gallery. They are a collection of videos and photos that depict diverse areas of BC. The “monuments” section considers how public history is marked across the province. 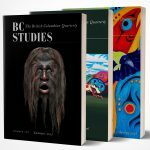 View the galleries here: https://bcstudies.com/?q=digital-bc/digital-postcards. Please include your name and the location of the photo or video.